Päivikki Alaräihä’s exhibition Quite Alike, Not Soft features paintings on canvas, a wall painting, and an artwork consisting of a surface in two different spaces. 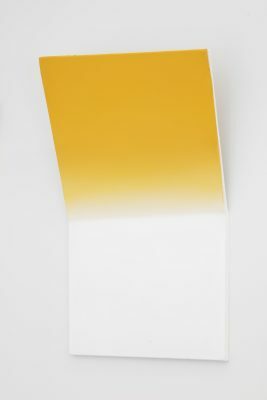 The works on canvas are constructed of several layers of paint. 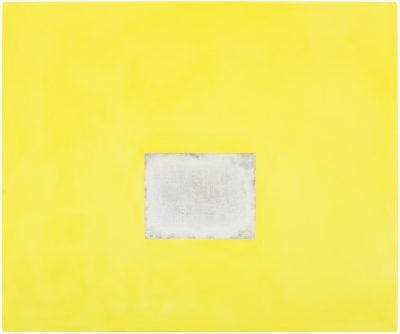 Their sparse, pared down idiom focuses on abstract forms that initially appear to be familiar, but upon closer inspection the viewer’s attention is drawn first to the relationship between the shining fields of colour and their subtle changes when from one surface to another. 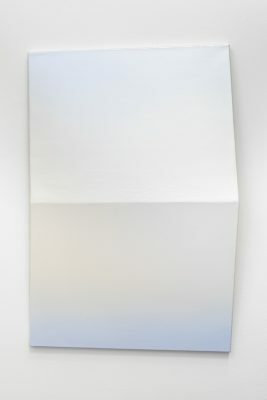 The blue surfaces painted in different ways resemble the sky reflected on calm water. 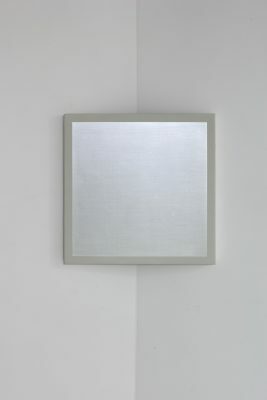 A strong and smooth, almost immaterial grey rectangle surrounded by colour surface creates an impression of depth. The works on show deal in various ways with the themes of viewing, juxtaposition and site-specificity.  The subtle and reduced visual idiom is precise and light. 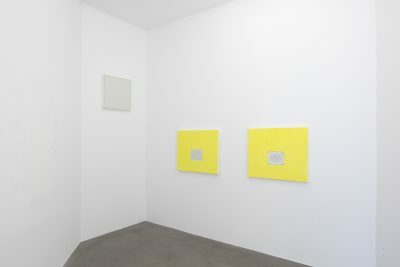 The title of the exhibition refers to how the works are interpreted. Their components are meaningful in relation to each other, and the individual entity, the artwork, is always the sum of its parts. This phenomenon also functions between the works: they can be compared and their meaning can change along with their setting. 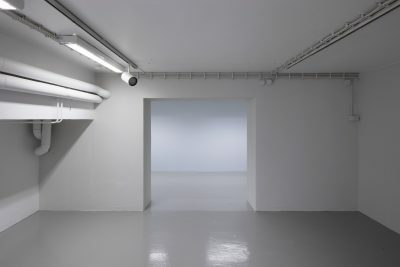 In the exhibition, the gallery is divided into two different spaces: an upper and a lower level. These spaces are of different character and the works seek to conform to and emphasize their specific characteristics. 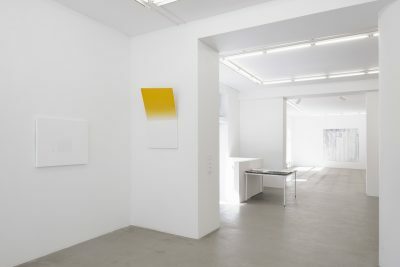 The individual paintings and their surrounding location are equal factors for Alaräihä in the exhibition as a whole. 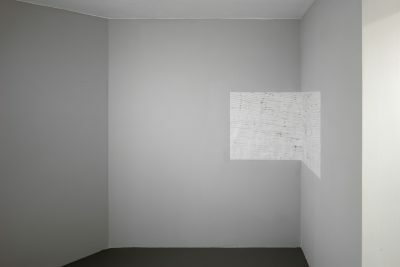 The artworks create a network comprehensively exploring the act of viewing and the space concerned. Päivikki Alaräihä (born 1981 in Yli-Ii) lives and works in Helsinki. She graduated as Master of Fine Arts from the Finnish Academy of Fine Arts in 2015 and has held solo exhibitions at Galleri Sinne in 2015, XL – Art Space in 2013 and the Wäinö Aaltonen Museum in 2010, among other venues.